I am a mother, wife, sister, daughter and friend. I’ve been married to my college sweetheart for fourteen years. We’ve been blessed with three beautiful little boys who are the center of our lives. Photographing newborns is my passion, and I just adore snuggling sweet little babies and creating works of art for you to pass down to future generations. I earned my MBA in 2005, giving me a solid foundation for becoming a business owner. 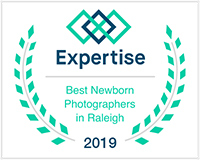 I also took many photography classes in college, and attended workshops and mentored with some of the best newborn photographers in America. I pride myself on being an expert in baby posing. I can guarantee a smooth, relaxed session with a wide variety of poses each and every time. I’m also extremely cautious when it comes to the safety of your baby. I know exactly how to handle babies to keep them calm and 100% safe at all times during your session. I’m a professional. My clients are ALWAYS happy and come back to me over and over and over again. And I’m confident you will too!